APR’s TCU upgrade enhances the driving experience by incorporating many of the same features typically reserved for high-end Audi Quattro GmbH RS models. Under blistering, wide-open throttle acceleration, the transmission shifts even more quickly than before with a higher rev limit. However, during normal, day-to-day driving, the TCU Upgrade delivers a smooth, more refined, driving experience. The ECU defines the maximum engine RPM possible. Using APR’s user definable max RPM settings, the end user can match the ECU’s RPM to the TCU RPM to avoid hitting the engine rev limiter should the automatic redline upshift option remain active. In the case where an APR ECU Upgrade’s redline is lower than expected, APR can issue a free ECU update to correct the max engine RPM. APR’s TCU upgrade enables the gear display indicator for Drive and Sport mode in the vehicle’s multi function display. All too often TCU upgrades are sold as a solution to “torque limiters” in which many companies charge extra to raise. While some companies may have trouble with torque interventions from the transmission, even at stage I power and torque levels, APR ECU upgrades do not require a TCU upgrade to meet advertised peak torque levels. APR does not charge extra to “raise the limits.” Raising the limits does not increase performance and does not increase the transmission’s ability to hold more torque. The maximum torque limiters are simply removed, allowing customers unrestricted operation. 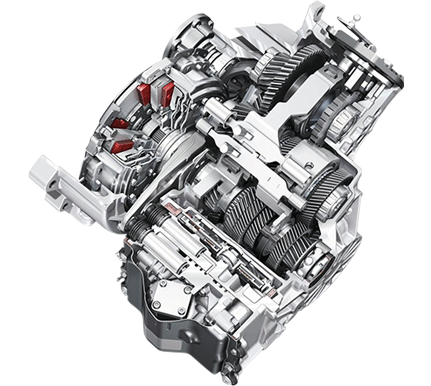 In the event torque is limited by the factory clutches, upgraded units may be installed and torque may be increased without TCU intervention. *Please note changing options or switching between stages I and II is free! 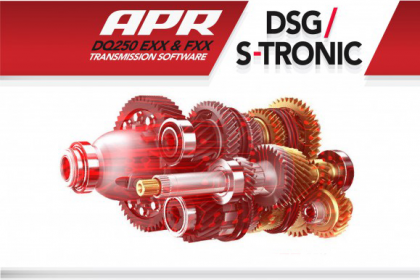 APR’s patented DirectPort Programming is now available for the Temic Tricore Exx and Fxx DQ250 transmissions. 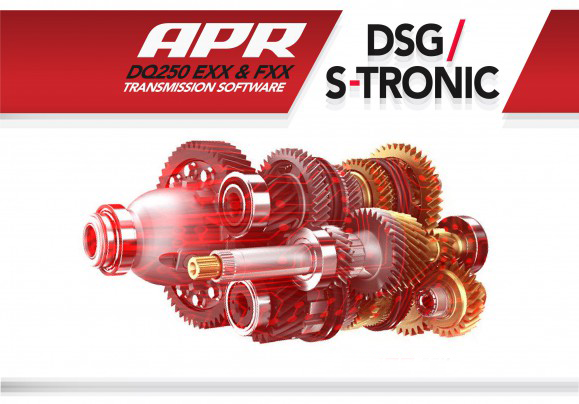 Any APR Dealer in the world, connected to the Internet, has direct access to APR’s latest TCU upgrades for installation directly over the vehicle’s OBD-II port. This completely eliminates the need to remove and open the TCU and can be uninstalled at any time! APR’s Electrical Engineers have the ability to alter the code structure of the TCU. 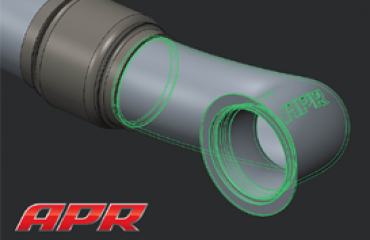 Through code levels changes, APR’s Engineers are able to add future features to the TCU otherwise impossible through calibration changes alone. 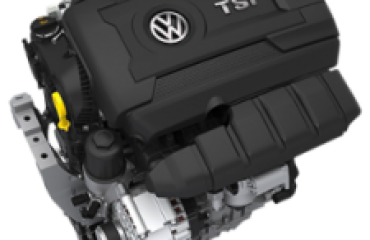 2.0 TDI CR Transverse Coming Soon!